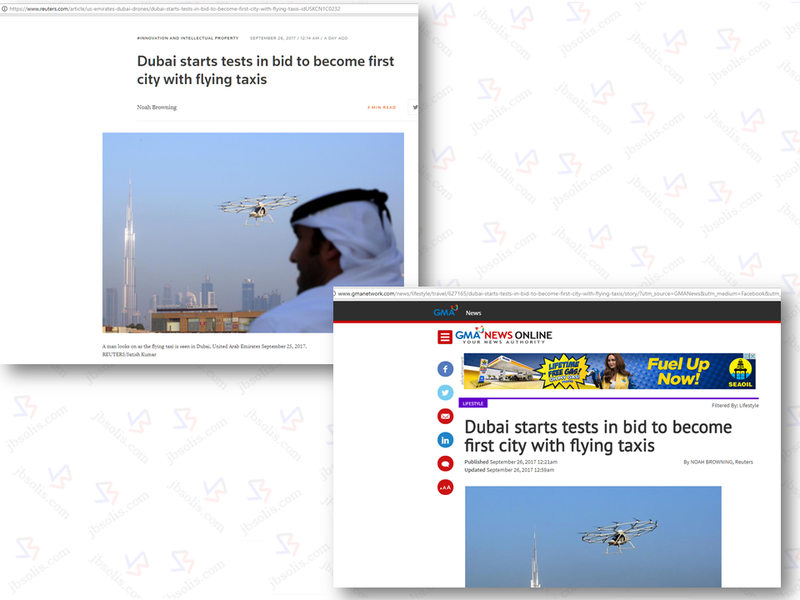 A test flight of the possible first ever "flying taxi" has been made in Dubai, UAE. A huge drone that can carry two people on flight is believed to be made as new mode of transportation in the near future. 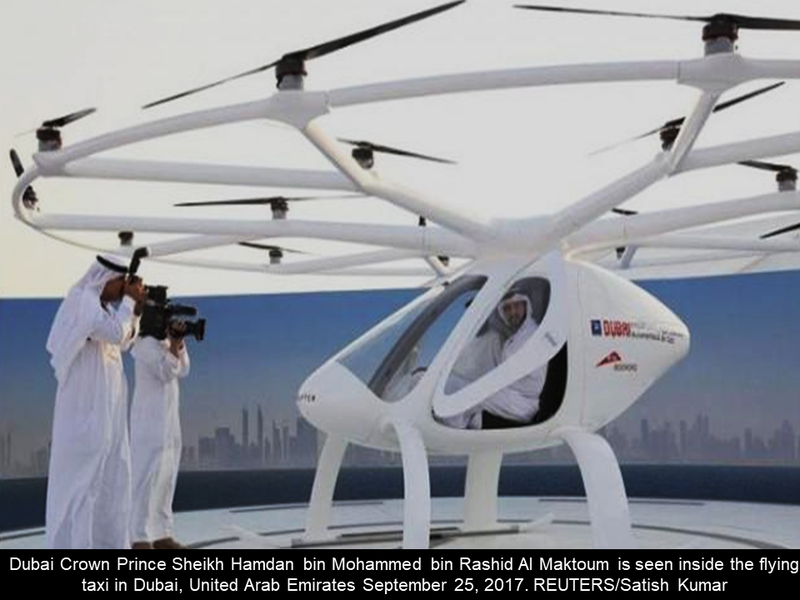 Reuters report said that the huge drone is similar to a two-seater helicopter and it has 18 propellers. The drone made by a German company Volocopter is presently under rigid tests to assure the safety and reliability should it be made for transporting humans. 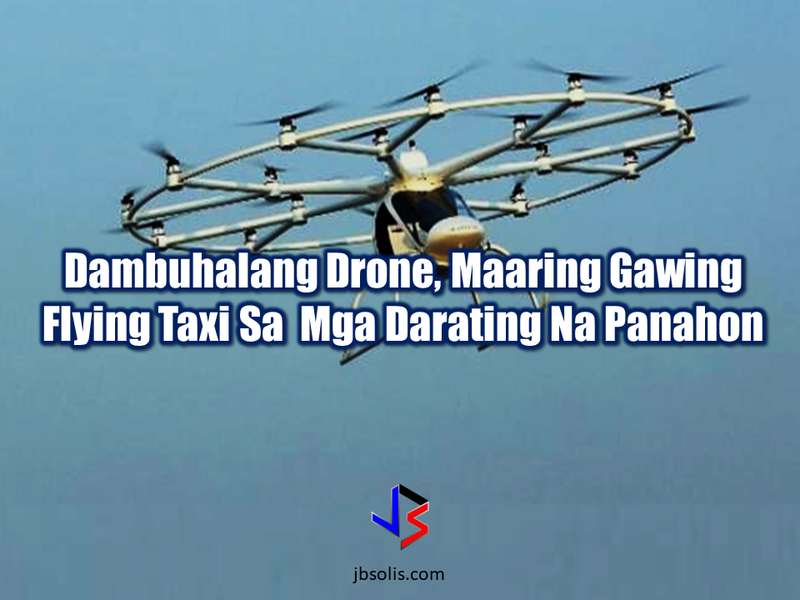 The first unmanned flight of the flying taxi was made on Monday, with a distance of 200 meters and it was in the mid-air for 5 minutes. If the tests will be successful, the flying taxi is eyed to be launched in the next 5 years, according to CEO Florian Reuter. 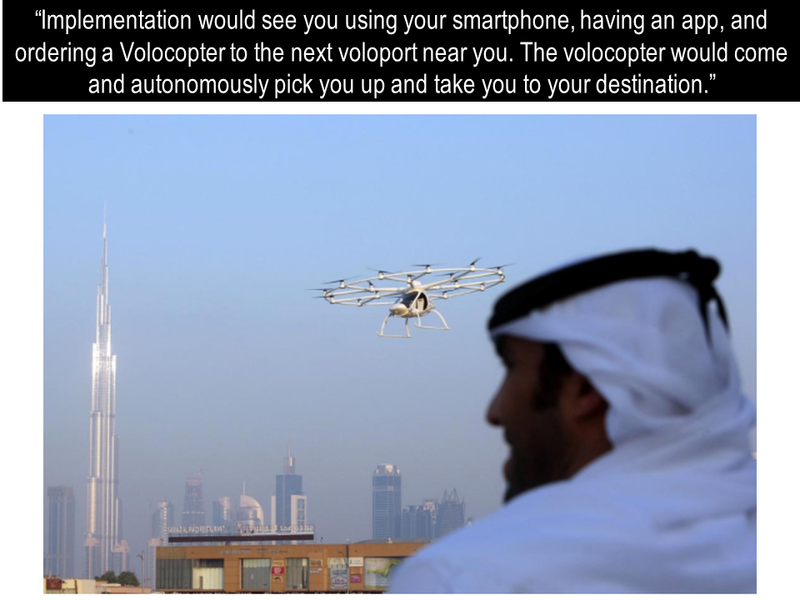 The Volocopter is designed to fly without remote control guidance and with a maximum flight duration of 30 minutes, it comes with plenty of fail-safes in case of trouble: back-up batteries, rotors and, for a worst case scenario, a couple of parachutes. "It already is capable of flying based on GPS tracks today, and we will implement full sense capability, also dealing with unknown obstacles on the way," CEO Reuter said. 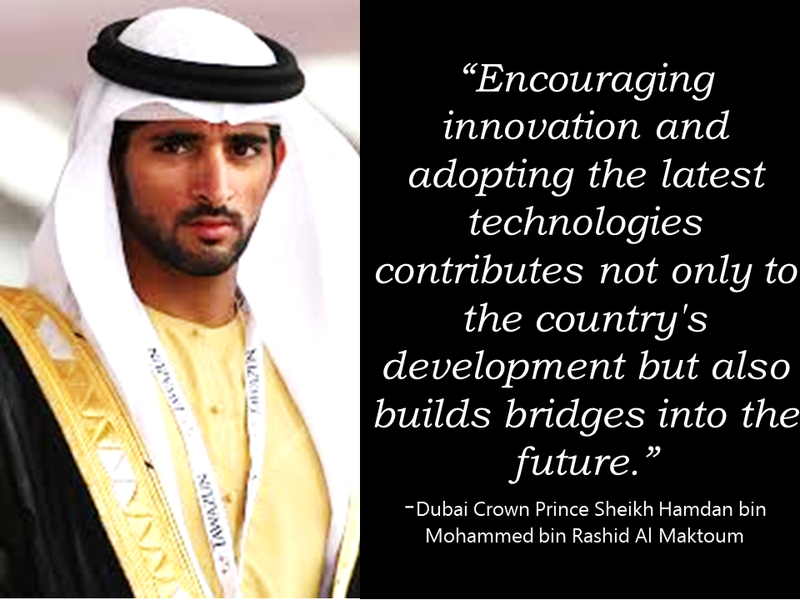 Included in UAE's futuristic plans, aside from having a flying taxi, is to send an unmanned probe to Mars by 2021, the Arab world's first mission to space, and Dubai has in many ways led their showy march into the future by introducing the region's first driverless metro and robot policemen prototypes.